If you ever want to come out to one of our services, please visit http://thevalleychurch.com/ for more information. We have ASL interpretation available. All are more than welcomed! This is one of the song translations created for Carole Cepeda to encourage her when she was terminally ill.
Amanda & Kayla Cornish are sisters who interpreted at the Teen Worship Service. Tom Kirkbride & Helen Quiroz did team interpretering for this service. I want to give a special thanks to Jermaine Cornish for providing this Live Stream event. In today’s world it seems to me that more and more people have lost or forgotten who we really are in God’s eyes. Many of us with disabilities feel that by having a disability the world often tells us that we are not good enough. I believe in accepting who we are as individuals regardless of these disabilities. Whether deaf or hard of hearing, requiring the use of a wheelchair or having a learning disorder; we need to learn to accept ourselves because God has made us perfect. God has plans for each one of us and He wants to use us! I was born with a disability and I am the sixth generation in my family to be hard of hearing. When I was growing up I struggled with my hearing but my family never figured out that I was having a hard time so I was raised oral. Growing up I was teased and bullied because I was in special education. I started hiding myself, my feelings and grew to not trust people. This led me down a dark path of harming myself. When I reached high school my mom knew that I could not learn the typical languages that were offered, languages like Spanish, French, and Chinese, so she put me in American Sign Language (ASL). I started learning ASL my sophomore year and I fell in love with it! American Sign Language is a special language to me because it opened up a way for me to be able to express my ideas, feeling, thoughts and even my culture. Before I was a disciple I struggled with loving myself; I felt different and not needed. I am blessed to have met Lydia Amend. 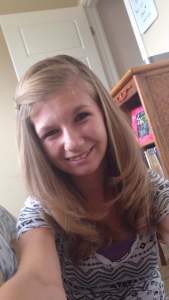 Because of her I was able to study the bible and make a decision on January 25, 2013 to be baptized. In the bible I learned that God created us exactly as he wanted and we each have different talents that we can bring to this world. Since being baptized into Christ I can still find myself struggling with letting people know the real me. I have a hard time sharing my emotions with the ones I care about. I am super grateful to have my best friend, Stephanie Dean, in my life. She is a blessing from God! My favorite memories as a disciple are the times I am around Stephanie because she shows me that it’s okay to be different. She has helped me to start trusting people and I am learning to be myself. If I am tempted to hurt myself again I know that God is helping me overcome because of how He continually uses Stephanie in my life. After becoming a disciple I started learning worship songs in Sign Language and if I’m struggling with something I can now grab my music, take a walk and sign. This helps me remember that God is in control. If I had never learned ASL I would never have found a way to finally be myself. In Romans 12:6 Paul writes about how we all have different gifts and that we should use these gifts for God. I know myself well enough to know I tend to look only at what I have done wrong instead of the gifts God has given to me. Reading has been a big struggle for me since I was in 2nd grade. I hated reading and hated that I could not remember the words to save my life. Even now I can get insecure with reading my bible because I feel like I am going to mess up and make a fool of myself. Sometimes I don’t read my bible because of these insecurities and I can then be led to believing the lies that Satan tells me. As I continue growing in my relationship with God I keep seeing the other gifts he has put in my life. God has given me the gift of encouragement and I desire to help other people feel valuable. I know what it feels like to be discouraged by people which is why I strongly feel the need to encourage other sisters and brothers in this ministry. I am always determined to find my family’s love language and make sure to lift them up when lies, sin or even hard days come their way. Everyone needs love, so I am always determined to love them with all my heart. In my Colorado fellowship there isn’t a Deaf Ministry yet. I am so grateful that one by one my close friends are learning ASL which helps me stay connected in our ministry. I am grateful for my friend, Anne Laughlin, who is often by my side helping me. She is becoming a teacher for deaf children and I am grateful that she interprets for me so I can understand when people are talking to me. She often explains to others that they need to take me somewhere quiet so I can hear what they are saying. My vision for the Deaf Ministry is to see it expand around the world. I would also like to start connecting to more deaf people because I am losing my signing skills if I’m not using them. To wrap up my testimony I want to share a scripture that is dear to my heart. This scripture always helps me because when I am in the storm or being tempted I remember that God is there to help me, I only need to trust in Him. I want everyone to know that no matter what people say about you, remember that in God’s eyes you are perfect, wonderful, needed and loved. I became a disciple my freshman year of college at the University of Cincinnati. A brother named Jordan Bishop reached out to me on campus while walking around doing cold contact evangelism. I would say my biggest challenge as a disciple is being emotionally connected. It is hard for me to understand my own emotions and many times I view them as weaknesses. Obviously that isn’t true since Jesus was a man who wept with others but was also joyful. Becoming more aware of my emotions and connecting to them is definitely something I’ve been going after. It is really difficult but amen for victory in Jesus! My best memory as a disciple, aside from being baptized, was going on a prayer walk with one of my best friends. I think I had just gotten baptized and a bunch of sisters went out for a girl’s night to the Cheesecake Factory and there was a bit of a wait. My friend suggested we go on a prayer walk, so we did. We ended up getting lost and it began to rain. Most girls might have seen these circumstances as a negative thing, but being lost in the dark with a sister and just praying to God as it poured is one of my favorite memories to this day. I have been learning ASL since I was a sophomore in high school. I took ASL simply because I didn’t want to take Spanish and I thought ASL would be a cool alternative; it blew my mind! I currently have finished all the ASL courses that the University of Cincinnati offers. My goal is to become an ASL interpreter and the reason for me is because I love the language and the culture. Every day I will get to learn so many new things because of the experiences of the job. Helping individuals and cultures connect is an amazing ability! I would say my weakness as an interpreter is my level of experience and wisdom with the field. I haven’t exposed myself as much as I should’ve to the Deaf community and those experiences are important to just immerse yourself in it and learn from the people themselves. My last 2 years in the program I am going to look for more ways to get involved with the community and see what I can do to really fight for those opportunities. My skill would probably be my native feel to ASL. Everyone always tells me that I look natural when I sign and it truly feels like that. It’s so fun to get creative and use the space around me like my own personal canvas to express what I’m trying to explain with this amazing language. There have been many learning experiences that I’ve come across being in the Deaf community. A big one would be the cultural difference and how to become more understanding of it. As hearing people we can easily get offended by the bluntness of the Deaf culture, but I’ve had to learn to understand people’s hearts; to know about the cultural differences so that there is a smooth transition of information between cultures. There are so many things I see God doing in the Deaf ministry and my largest dream is to see the Deaf and hearing ministries work together like a well-oiled machine. I want to see the hearing disciples look at the deaf disciples as simply their brothers and sisters and vice versa. I think that these actions of unconditional love, by attempting to bridge the communication gap and cultural differences, will help disciples build deeper relationships that will aid them in getting to Heaven! “He has made everything beautiful in its time. He has also set eternity in the hearts of men; yet they cannot fathom what God has done from beginning to end”. It brings me so much peace to know that God is in control and that everything will be made beautiful in HIS perfect timing so I don’t need to try and figure out all the answers, God has me. Hi!  Welcome to Deaf Ministry ICOC! Search Plugin created by Jake Ruston's Wordpress Plugins - ﻿Powered by Laptop Cases.